I love books. Especially fun Islamic books. There are so many amazing Ramadhan and Eid books available to us these days. 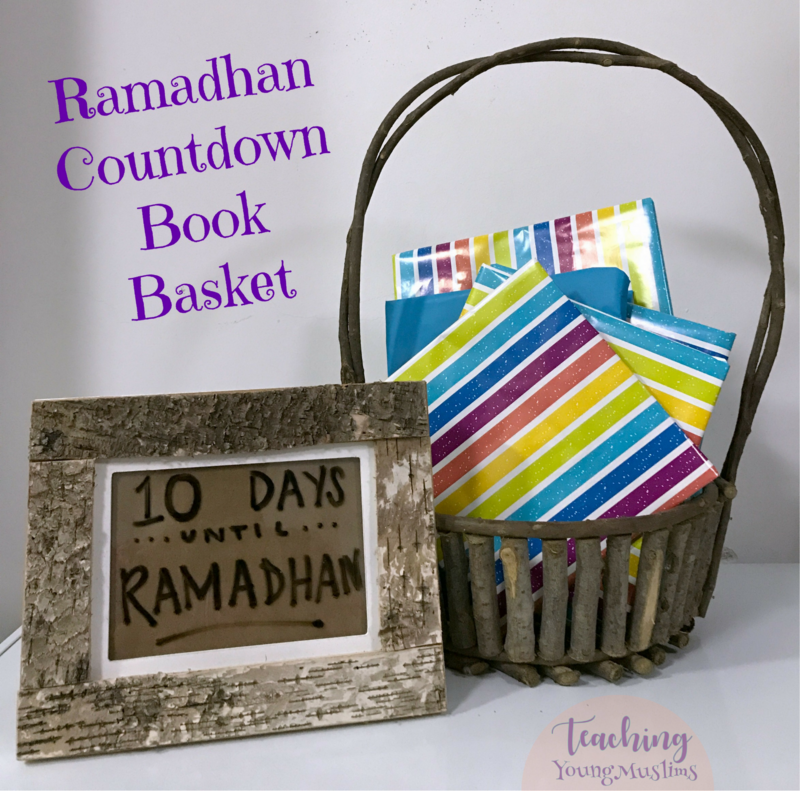 As we await the Holy Month of Ramadhan, I have created a book countdown with five to ten of our Islamic books. To build the anticipation and excitement, I wrapped the books for the book basket. They don’t all have to be new books – books that you already own are fine too. Or a mix of new and old! Just wrap the books so you can’t tell which book it is from the outside. Every day of the countdown, count how many days are left until the Holy Month of Ramadhan and listen to a favorite Ramadhan nasheed. Then, unwrap and read one book together, and then discuss what was in the book. What is fasting, and where is Allah (SWT). Talk about the daily prayers and reading the Quran. Kindness and love, the Prophets and Imams (AS). So many books to prepare us for Ramadhan! My goal, inshaAllah, is to have a full set of 30 books about Ramadhan and Eid. I’m not quite there yet, but once I do, I would love to unwrap a book every day of the holy month of Ramadhan. InshaAllah! Any books that you suggest? Please let me know in the comments section below! I’d love to hear about the books loved by you and your family!